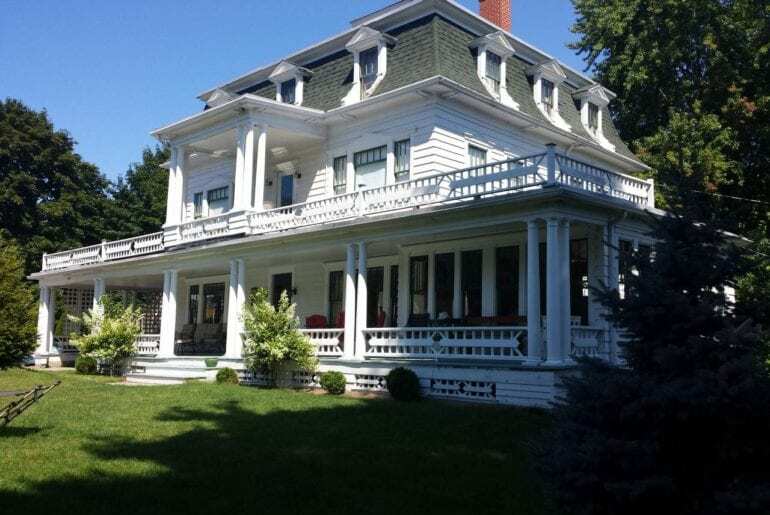 Maine is home to the most eastern city in North America and the famous horror author Stephen King – coincidence? Probably. The state is known for chilly winters and rugged coastlines, and its coastline provides almost 90 percent of USA’s lobster supply. Winter in Maine can be harsh, the state is one of the ten coldest in America. Recorded temperatures have been as low as -50 degrees. It turns out the cold weather works well for skiing though! Maine is a popular tourist destination and is known for its stunning natural beauty. 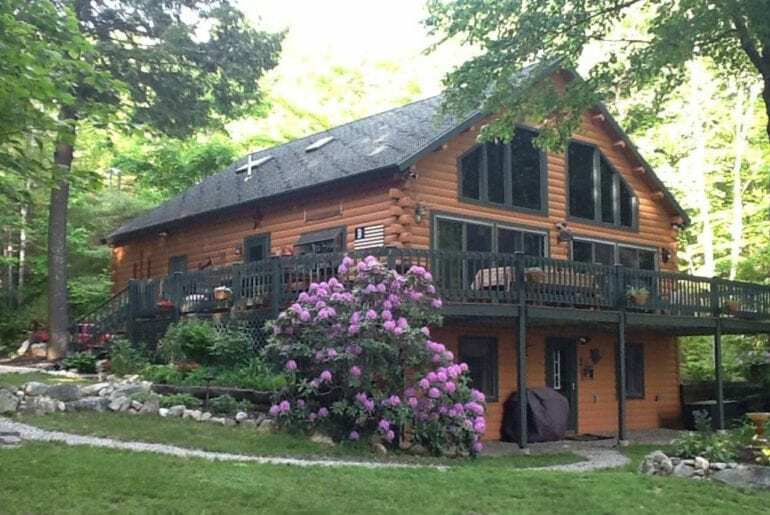 If you find yourself headed to Maine for whatever reason, take a look at our choices of some of the best Airbnb rentals on offer in Maine below. This looks like a lot of fun! 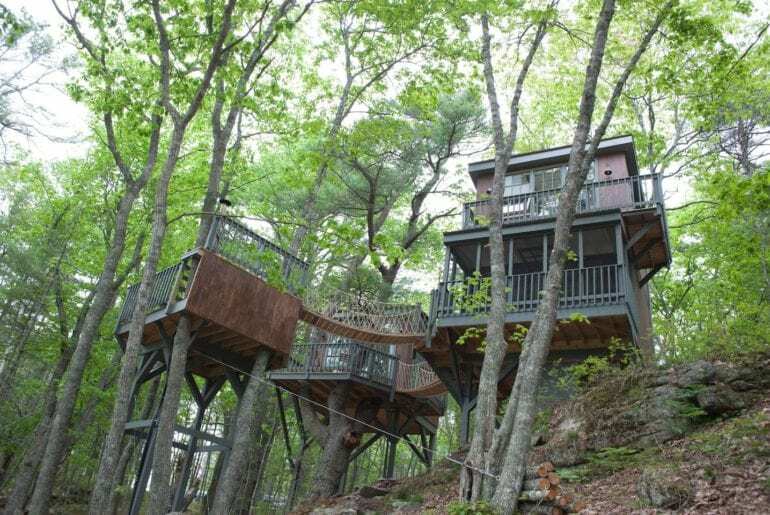 A custom designed tree house with a wood fired Cedar outdoor hot tub, no less. Imagine being 11 and spending a weekend here, it’d be incredible. 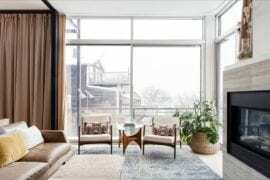 This unique home is situated on top of a 21 acre hill. 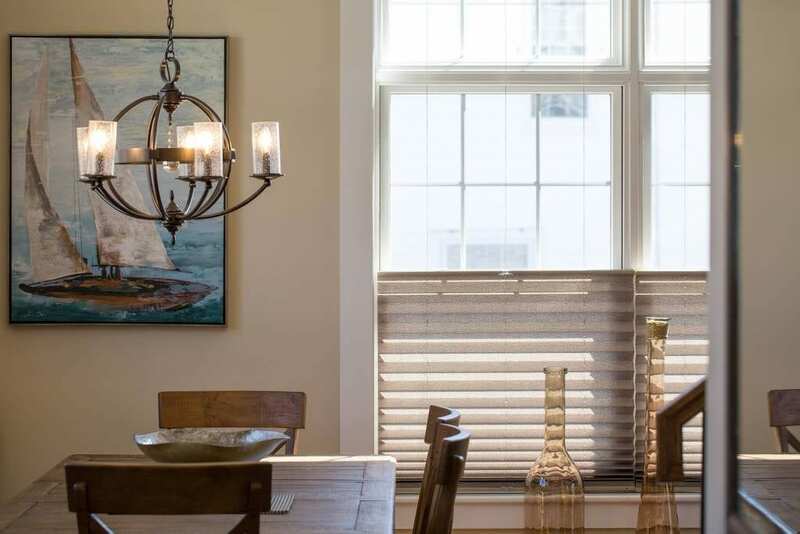 Located in a classic Maine village with stunning views from a wall of windows. 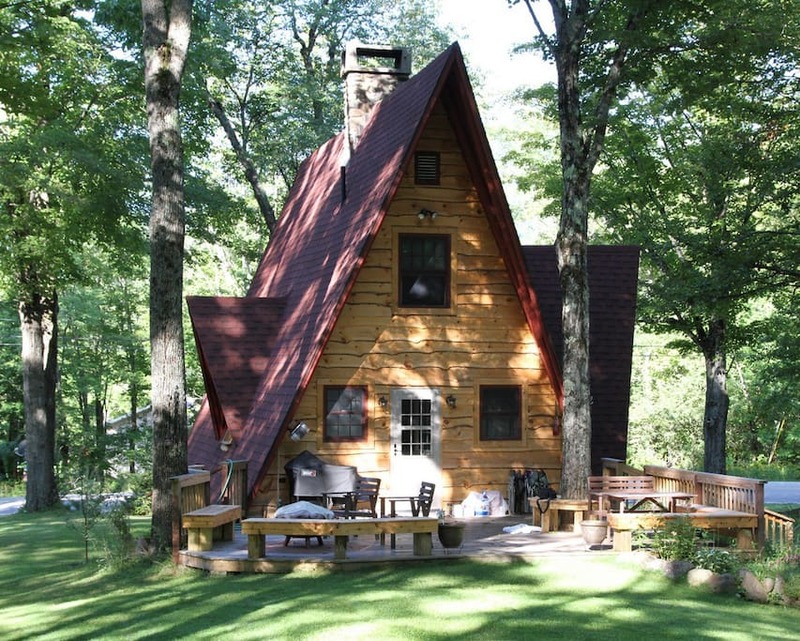 Situated close to a river, use of kayaks and canoes are included. It’s a cool $289 per night for you to live like big kids for a bit – totally worth it. 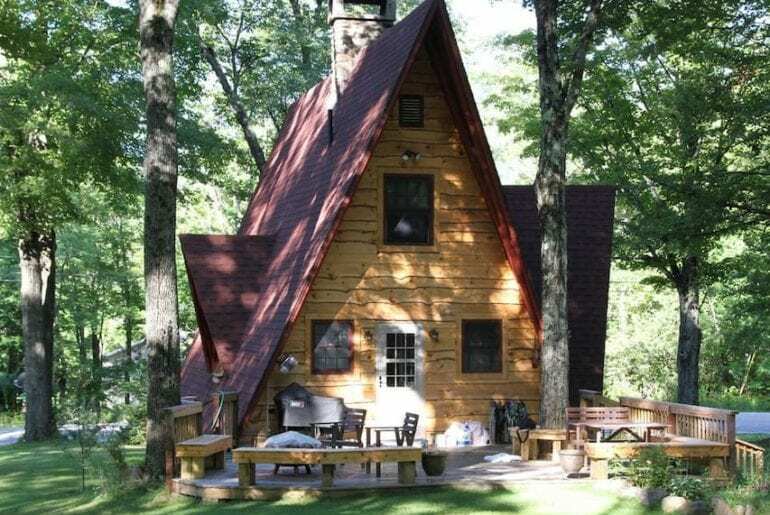 Check out this cozy little cottage with 2 bedrooms and a loft, which you can find close to the scenic, rustic Route 26. For those of you who like to grill, this place features an oversized back porch with a charcoal grill and a fire pit. Imagine all the wholesome family hangs you can have back there! This is a great spot for skiing, kayaking, canoeing, biking and hiking. $175 per night seems pretty reasonable for all this. This is a real life, actual authentic log cabin! It comes with breathtaking views of the lake, too, which ain’t bad at all. 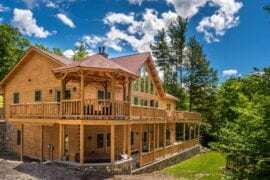 This 2 bedroom home is decorated Alpine style, so you’re basically in Maine and the Alps at the same time, and there’s a huge stone fireplace, which makes this ultra cozy. You can totally swim and kayak in the lake too. It also has a nice outdoor deck if you’re just into chilling. $250 per night. 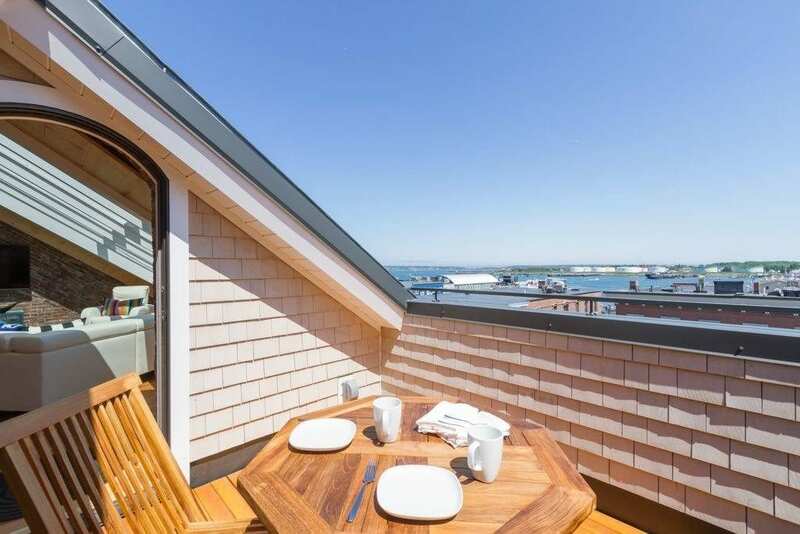 This private top floor penthouse suite with comes with stunning views and fresh sea air, as it overlooks Portland’s harbor. 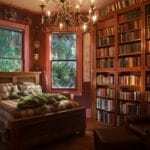 While this place can be found in a 1850’s warehouse building, it has all mod cons, as they say. Most importantly though, you can pick up lobster and seafood fresh from the fishing boats only 100 yards from the door. $250 per night for feeling like a salty sea dog is very reasonable, we would argue. Here’s a nice wholesome family spot for those of you with, um, families. This massive 5 bedroom, 2.5 bathroom home in York should be big enough for you to fit the whole team in the place with minimal squabbling. Located close to beaches in the residential area of Lake Neddick, this light, bright home would be perfect for a summer trip. This place boasts an upscale kitchen and outdoor areas with grills and an outdoor shower for when the kids come back covered in whatever kids get covered in when they mess about at a lake all day. Good vibes for only $172 per night! This beautiful 4 bedroom property was just a shell from the 90s until only two years ago, but the owners have really gone to town on renovating the place. 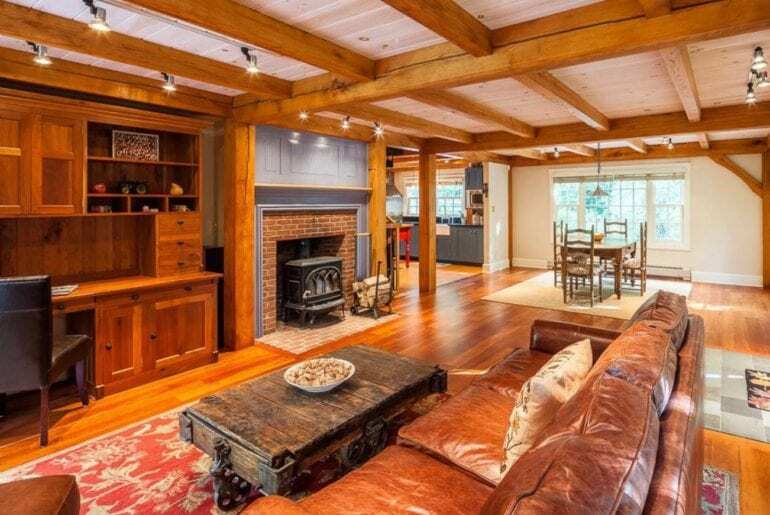 Those wooden beams are almost too much! And wait til you see the spiral staircase, such a cool touch. 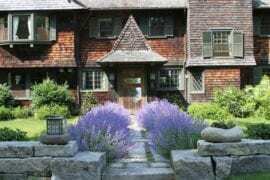 Situated on 16 acres of gorgeous greenery but close enough with shopping, antiques, restaurants, hiking, biking, beaches, kayaking and wineries to not feel isolated. This place is a steal at $235 per night. Here’s a nice grown up one for you sophisticated types. This is recently built property rocks those high ceilings and tasteful decor and has 3 bedrooms. It’s just a few steps from the popular Marginal Way coastal walk and the beach, which is handy if you’re so inclined to enjoy those things. 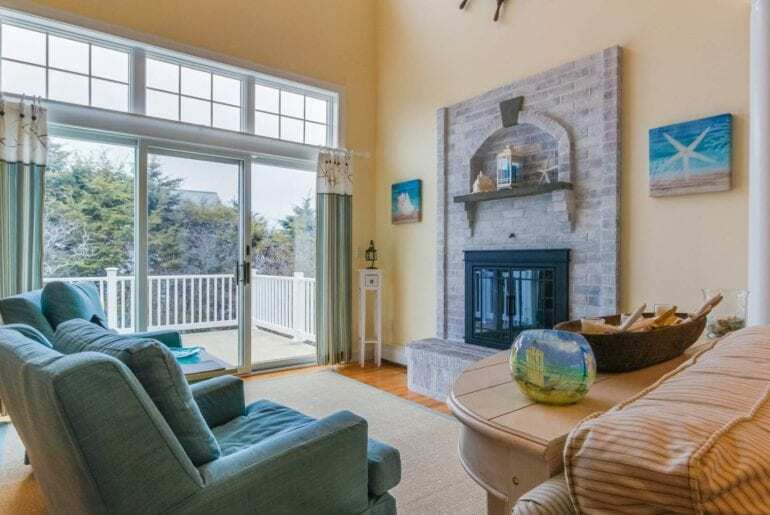 Feel free to enjoy sunset views and a picturesque backyard area at no extra charge! $400 per night. This classic Second Empire Mansard mansion was built way back in 1927 and features no less than 7 bedrooms, accommodating up to 14 guests. This could be a fun one if you’re planning a family reunion weekend or something like that, we reckon. This extremely spacious property has 2 full kitchens, a few (!) balconies, and all the other normal amenities that aren’t as fun as all the balconies. So, not bad for $350 per night.